Same as previous migration scenarios, no outage allowed. A few packet drops are acceptable. 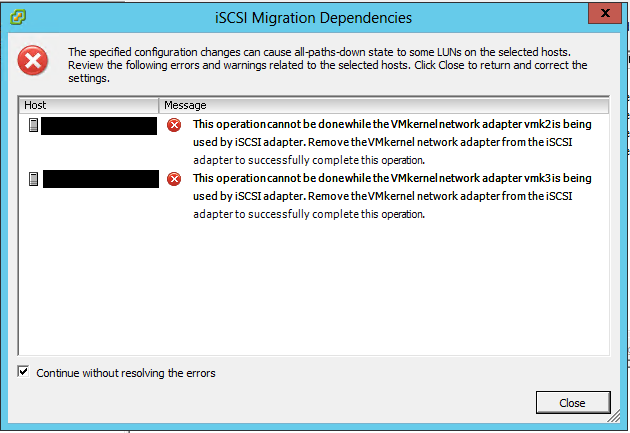 Migration of Software iSCSI VMKernels configured on dvSwitch_iSCSI_Network. Import/Export dvSwitch_iSCSI_Network and corresponding portgroups maintaining identifiers to vcs5.5. 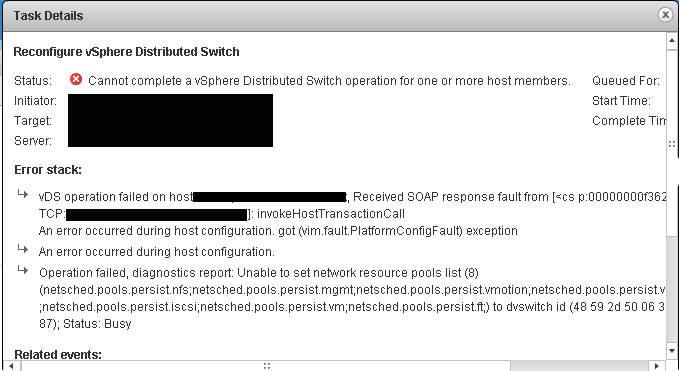 Investigating the log, looked like the dvSwitch imported to vcs5.5 had an issue with network resource pool, i.e. NIOC. Gotcha – NIOC custom resource wasn’t completely imported. Hence, I created one (exact same configuration as defined in vcs5.1) and mapped it to the appropriate portgroup. However, there was no luck, still had the same issue as above. I guess the configuration had to be imported instead of the user manually creating them. 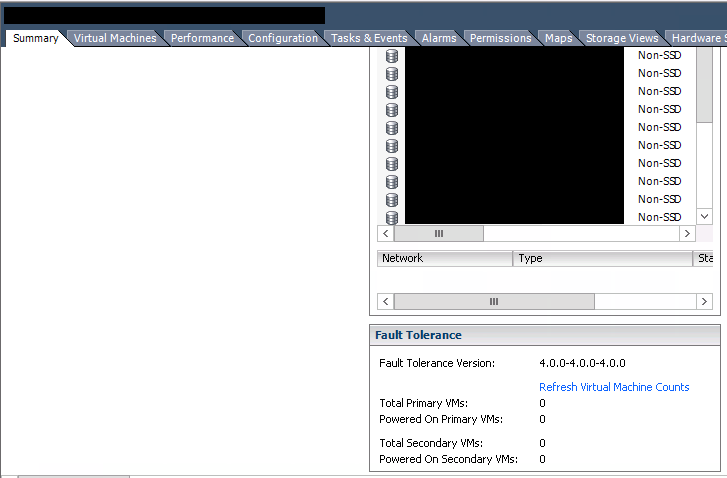 After the work on esxi5.1_A, migrated esxi5.1_B to vcs5.5 and placed it on maintenance mode to evacuate virtual machines to esxi5.1_A. Once vMotion was finished, updated dvSwitch and It was successful! 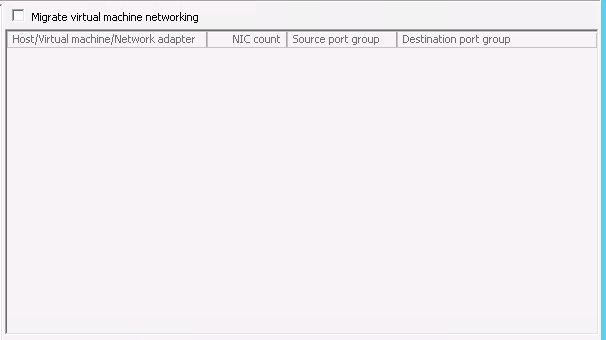 There is no problem with selecting portgroups on VM configuration but I found that if these ESXi servers are part of vCAC and trying to create reservations, network adapters didn’t show up 😦 I recommend you to restart vCenter Server as it fixes the issue above (do not tell me you have vCenter Heartbeat installed!). More than welcome if you’ve got any questions or clarifications.